A lot of the credit for this can actually go to Obama. After every terror attack he was urged to curb civil liberties. Instead he reminded us that the greatest threat to the country is not terrorism, but our overreaction to it. This in turn enabled an environment where citizens from across the country could speak freely and engage each other in healthy if uncomfortable and contentious debates in the media and online. The threat to our country is by no means over. There are still many people and organizations conspiring to undermine the values that make America great. If they are successful, they will turn our country into a hellscape that Trump could only dream of. 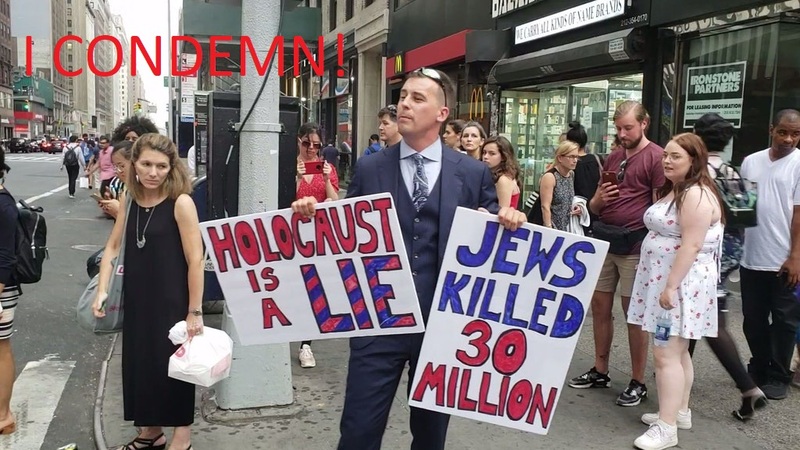 Anti-Defamation League – The ADL started as an attempt to criminalize the defamation of the Jewish people, in the misguided belief that this would prevent another Holocaust. The truth is, it would have caused it. This ambition has long since been abandoned, but still today they lobby to criminalize ‘hate speech’ and ‘extremism’. They also fearmonger over ‘antisemitism’ as a pretext to import Israel’s police state apparatus. Their motto is: “Report Nazis to the police, who we trained, and go home and do good deeds.” Fortunately Americans ignored them. Southern Poverty Law Center – The SPLC fights extremism by publishing a ‘Field Guide’ targeting ‘extremists’. Sued by Maajid Nawaz, they quickly crumpled and forked over $3 million to his Islamophobic Quilliam institute, which teaches kids that watching just one ISIS video can make you stop doing your homework, hate your parents and teachers, and blow up your local sports arena. The goal of the SPLC is to undermine press freedom with the claim, “Our defeat here proves we never really had it in the first place.” They also lobby the police to separate and corral protest groups so that they can’t see or hear each other. AIPAC – They have succeeded in passing anti-BDS legislation in 26 states across the country. These laws undermine free speech by criminalizing boycotts. In some cases the courts have reversed these bans. Michael Bloomberg – This New York billionaire is campaigning for ‘common sense’ gun legislation, which is basically labeling anyone as ‘crazy’ for supporting gun rights and using that as a pretext to take away their guns. It will result in a War on Guns that is far more destructive than the War on Drugs, and will ruin the lives of many of the same kids they claim to be trying to protect. Furthermore, guns are to a large extent the reason that Jews are now safe in the USA. Why would he want to expose us to a tyrannical government and repeat the mistakes of a hundred years ago? George Soros – He declared Facebook evil because it spreads fake news, and he claims it must be regulated. However, Facebook is the conduit where we can fight hate speech and extremism across the world from the comfort and safety of our living rooms. If there is hate on the platform, then we have only ourselves to blame for not confronting and debunking it. Banning the haters will only radicalize them, and cause another Holocaust like the one that destroyed his family and from which he narrowly escaped. Why does he want to suppress the technology that can save us from repeating all the same mistakes of the past? Sheldon Adelson – The casino magnate now uses his billions to perpetuate the war on drugs and Zionism. Tom Steyer – This billionaire, having made his fortune from capitalism, now embraces socialism, an ideology that has killed far more people than Trump’s fascism. He lobbies to impeach Trump for “Russian collusion” so that he can usher in a socialist utopia, ascend to power over it, and finally get the things that he discovered to his chagrin that money just can’t buy. My heart grieves for the 6 million Jews who lost their lives in the Holocaust. But based on the behavior of the Jews alive today, the vast majority would not have lifted a finger to protect or defend me – even as I risked my freedom and safety to fight for them. They would be silent as I was punched in the face, kicked in the head, and then threatened to be killed if I returned for being gay, capitalist, liberal, lefty, antisemitic, anti-Zionist, BDS supporter, terrorist sympathizer, holocaust denier, not shomer shabbas, fake Jew, mentally ill, convicted criminal, and a litany of other faults. They would have eagerly conspired to hand me over to the Nazis (or today, to the Atomwaffen), even as the rabbis squabbled over the exact nature of my transgression. However over the course of our country’s history, a million brave Americans fought and died for our freedom. I have not forgotten their sacrifice, even if everyone else seems to have. Codepink – Protest at the homes of politicians to create a pretext to beef up security and import Israel police state tactics. Pick fights with low level security guards and threaten to sue them to make them hate Jews. HIAS – Import immigrants and give them rights so they can take away ours. What a nightmare. This will only worsen antisemitism by stifling free speech. The “Special Envoy to Monitor and Combat Anti-Semitism” will attack our own Jewish peoples. As for the “Combating European Anti-Semitism Act” – what Europe needs is FREEDOM.